The nodes of the Moon play a very important role in Vedic astrology. The north node is called 'Rahu' and the south node is called 'Ketu'. These nodes form aspects just like regular planets. There are no corresponding equivalents for 'Rahu' and 'Ketu' in Western astrology. These Vedic planets are essentially malefic in nature and are referred to as the Serpent's/Dragon's head (Rahu) and tail (Ketu). 'Rahu' and 'Ketu' have and eclipsing effect on other planets, particularly the Sun and the Moon and have been compared to a black-hole a white dwarf. The strength of planets varies from very strong to very weak, depending on a number of factors established, obviously the stronger a planet the better the result. There are nine Vedic planets and planets have rulerships over houses based on the 'Mooltrikona' sign of the planet. Therefore, the area of a person's life ruled by a planet is determined by the ascendant of the native. For example, the Sun is the lord of the house associated with Leo. In addition to this, each planet has general specifications that pertain to that specific planet (for example, the Moon rules felinity). The functional nature of the planets also varies by ascendant. If a planet is a functional malefic, then its aspect to another planet is afflicting, and causes adverse effects to that planet. Planets ruling the 6th, 8th and 12th houses are functional malefic and afflict planets if the aspect is close (within 5 degrees), even if they are considered "strong." The main sufferings in a person's life arise from planets being both weak and afflicted. Uranus, Neptune and Pluto do not play a role in Vedic astrology. Jupiter and Rahu/Ketu aspect 120 and 240 degrees. Saturn aspects 60 and 270 degrees. Transit to natal, natal to transit (relevant at times when the two planets involved aspect at different angles) and transit to transit. The house system is sign-based; in other words, a sign never overlaps two houses. Each house has a 'Most Effective Point' or "MEP" which is the degree of the ascendant. So if a planet aspects the MEP of a house, it benefits or afflicts the significations of that house, depending on whether it is a functional benefice or functional malefic. Vedic astrology identifies varies periods or ages in a persons lifetime, each of which are ruled by particular planets (and the strength or weakness and/or affliction of that planet in the chart). These 'Dashas' have the affect of shading all transits in that period by the nature of the active 'Dasha' period. 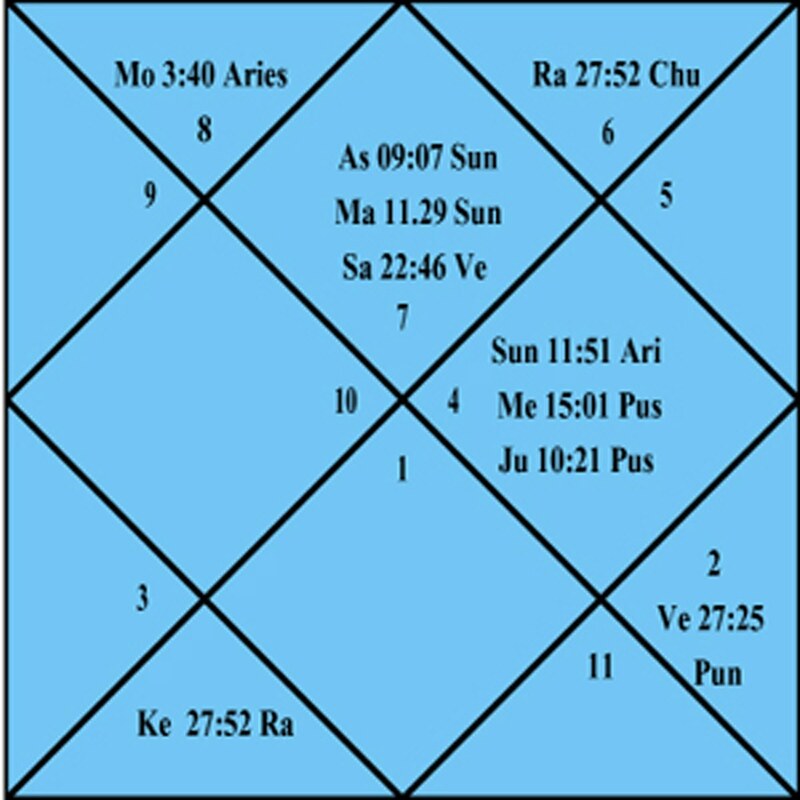 The charts are drawn differently in Vedic astrology. We suggest using the northern style. Once you are used to it, it will become quite intuitive. In this system, it is easy to identify each house quickly. The numbers drawn on the chart refer to the sign, not the house. Aries is 1, Taurus is 2, etc. Vedic astrology uses not just the main chart, but also divisional charts that shed additional light on specific aspects of the person's life.